Rochester teachers work so hard for our kids that this is the time to show them just how much we love what they do. Teacher Appreciation Week is just around the corner from May 7th to May 11th and Teacher Appreciation Day on May 8th. 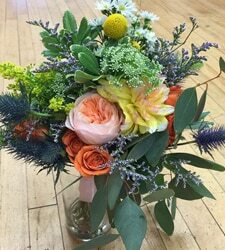 We have special gifts for Rochester teachers at our Rochester flower shop that you can order in-person, by phone, or online through our website like these ideas: Garden Delights This garden-style bouquet is presented in a bamboo box. Seasonal flowers come in hues like hot pink and lime green. It's perfect to display on a desk. 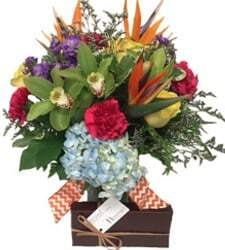 Splendid Surprise by Teleflora Give your favorite teacher this bouquet that includes green miniature hydrangea and lavender roses arranged in a fuchsia cube. 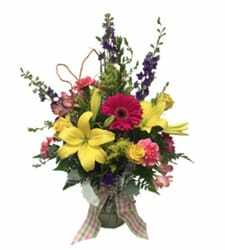 You're A Gem Bouquet This is a dazzling floral bouquet of roses and lilies in gemstone shades displayed in a violet Couture vase. It makes a truly elegant teacher gift. Uptown Bouquet This is a stunning flower arrangement of roses arranged in hedgerow fashion. Colors depend upon availability. It's finished off with plenty of green accents. Imperial Purple Orchid This is a long-lasting flowering plant that is sure to catch everyone's eye. This one is purple, but we may have other colors available, too. It's displayed in a bamboo container. Other Teacher Gifts Besides these flower arrangements and bouquets, you can choose from green plants, flowering plants, gift baskets, and special seasonal items now available. 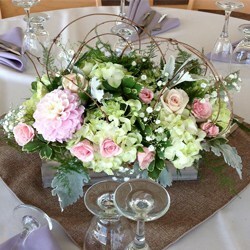 We also can do custom flower arrangements for teachers. Contact us today to place your order for Teacher Appreciation Day and Teacher Appreciation Week! We Love Green and Blooming Plants! April has been designated as Keep America Beautiful Month. This is a time to think about how we can do a better job with our environment and create sustainable communities that together show we take pride in our country. 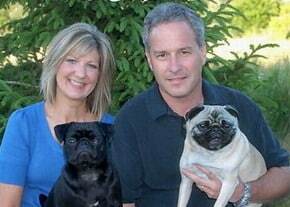 It may involve park clean-ups, community gardens, or recycling activities. This month also has some special environmental days that we can participate in by adding more plants to our lives as well as gifting others with these natural beauties. This includes International Plant Appreciation Day on April 13th and Earth Day on April 20th. Here are some ideas from our plant collection available in our flower shop and online through our website: Dish Garden Ceramic Planter - Large This colorful combination includes a vibrant container as well as bold flowering plants and green plant accents. Bright Blooming Garden This dish garden basket gives you a bowl or basket full of blooming flowers in a range of primary colors. Succulent Garden Succulents are extremely low maintenance. 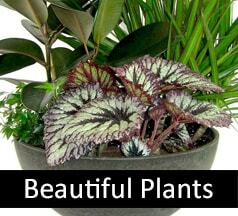 They don't need much light or watering, which makes them perfect for a home or office. They also add color and texture that are appealing. Dish Garden Ceramic Planter - Premium This premium size dish garden gives you more of everything you love in our other size dish gardens. That means more green and blooming plants and an overflowing amount of seasonal accents. Lovely One Spathiphyllum Plant The spathiphyllum plant has stunning white flowers that offer a beautiful sight to enjoy for a long time. These are low maintenance blooming plants that add something special wherever you display them. Call, visit, or go online to order your plants today! Prom season has arrived, which means it's time to look for dresses and tuxes for the biggest dance of the year and of high school. 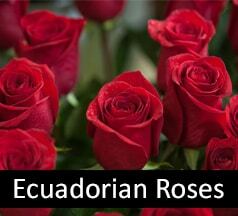 It also means prom flowers like a prom corsage and prom boutonniere. We are proud to offer a prom collection of flowers that match your style, color and flower preference, and budget. 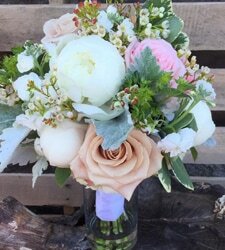 In fact, we have numerous collections within our prom flower collection that are themed to represent a different style that our customers love. There are so many individuals with their own style that this provides a way to find something that fits their taste. For example, we have the Bohemian collection as well as the Fairy Godmother collection, Glam collection, Preppy collection, Retro Hipster collection, and more. Each represents a style in the type of flowers and colors used as well as the type of corsage bracelet or wristband. While some have feathers, others have beads and rhinestones. 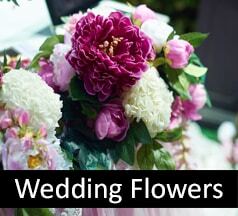 Flowers include everything from orchids and lilies to carnations, roses, hydrangea and more. And, for every prom corsage floral design, we have a matching boutonniere. So, if the prom corsage features an orchid in blue, so does the prom boutonniere. That way, you and your date are perfectly coordinated for the special evening. Also, we have a custom floral design service that lets you create your own custom prom corsage and matching custom prom boutonniere. 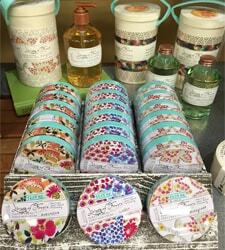 All you need to do is make an appointment with our floral design team and then bring in a fabric swatch or your dress. 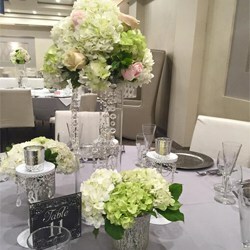 That way, our floral design team can make recommendations based on what they see. It's so much fun working together to create something magical for the special dance.